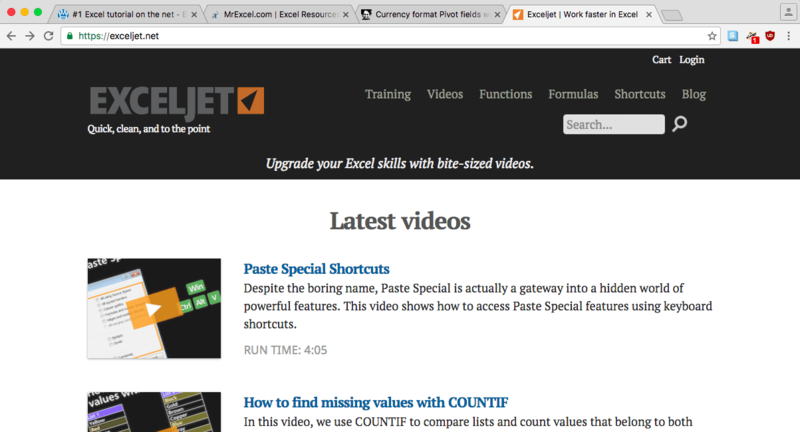 There is a lot of content about Excel online, and most of it is either not clear, not up-to-date, or not free. Here on ExcelFrog I try to solve all of these problems, but my website don't (yet) cover all subjects. 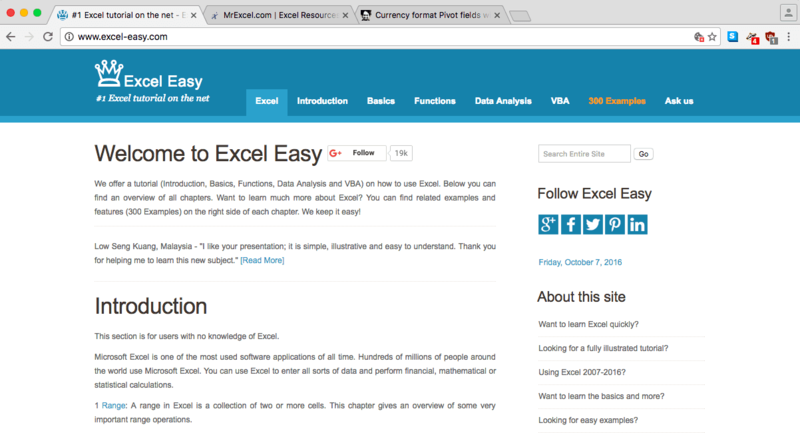 So where could you go to learn more about Excel? 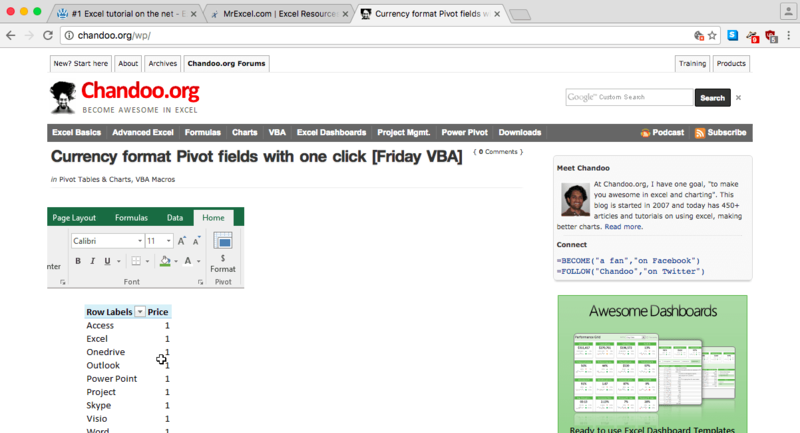 Is this short article I'll share with you my 3 favorites blogs about Excel. This one is probably my favorite of the three, because it's simple and it covers pretty much everything related to Excel. You won't find in-depth tutorials there, instead you will get short articles focused one one or two small things. Everything is free, but expect to see a lot of ads. If you like learning with videos instead of texts, you have to check-out this website. Their videos are short and clear, and they have tons of them. However you'll have to pay to get access to the most interesting content. And I almost forgot to mention that I really like their classy design. There is a lot of great information on this website, but it can be hard to find what you are looking for because there is so much content. There's not only free tutorials here, but also paid courses, consulting services, a forum, etc. It's worth getting lost in all the pages to find some really cool hidden articles.